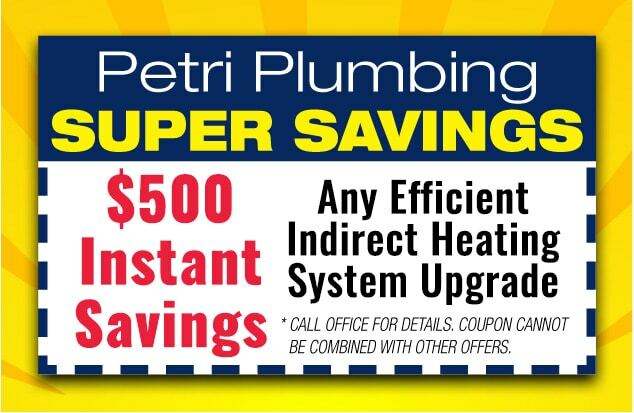 Petri Plumbing & Heating, Inc. is your boiler system expert. If your boiler needs a tune up or you have a breakdown, we will respond to your needs with Award Winning Service. We service & install every type of steam and hot water boiler system. Your boiler keeps you warm through those cold, winter nights – it is important to make sure it is operating correctly – or you could be left without heat! Outstanding is your expert for repairing, maintaining or installing your boiler system. We are experienced with all boiler brands, such as Baxi, Veissman, Burnham, Weil-McLain, Slant/Fin, Baxi-Luna, HydroTherm, Noritz and more. Our team is now BAXI Certified! Click here for more information. With the latest training and technology, our team has the experience and training to determine whether your home’s boiler needs servicing, or if replacing it with a more efficient model would benefit you more. Sometimes, a few replaced parts are all it takes to get a unit running more efficiently. Other times, there is simply no saving it and a new model is in order. Either way, Petri Plumbing & Heating, Inc. is the right company to call for all your boiler system needs! 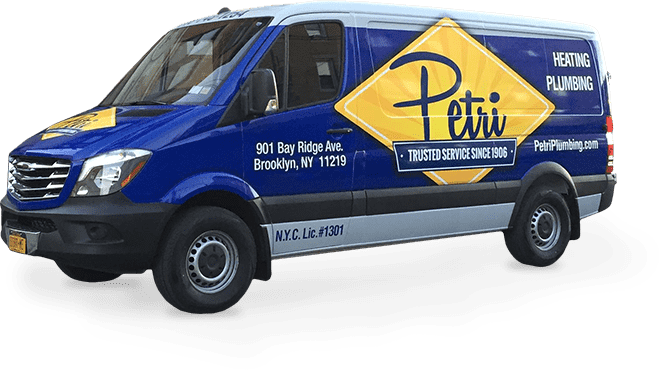 Need a reliable boiler in Brooklyn or surrounding area? Call us today at 718-748-1254. We are confident you will notice our professional, friendly, and eco-conscious approach to plumbing and heating.